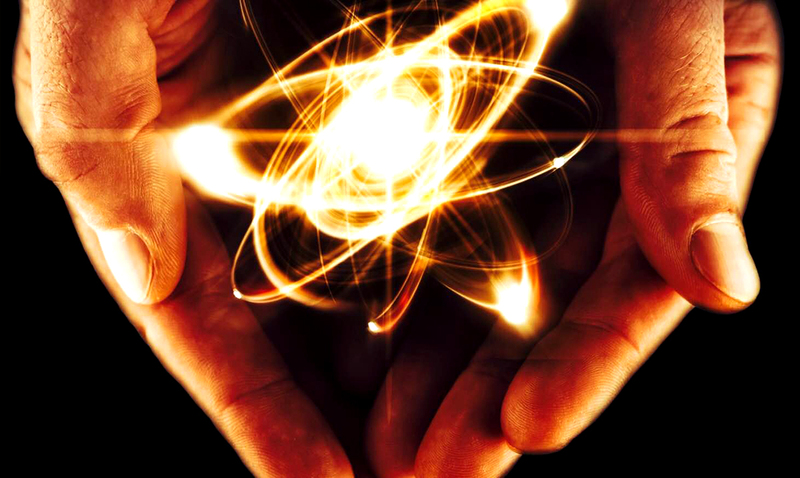 Scientists Prove That Everything Is Energy – Is Reality Real? Quantum physics has proven on many occasions that solid matter doesn’t technically exist, not in the ways we think it does. Everything at its core is energy and that is something a lot of people seem to have trouble understanding. The things we are experiencing in this world are all energy and it is constantly changing. Energy is constantly in motion, in more ways that you could imagine. When you dive into the world of quantum weirdness, you never know what to expect. When broken down things like the observer effect and even entanglement itself can bring a lot into perspective. Entanglement for those who do not know is something that happens when particles who have interacted before being separated. They are still connected by the energies that essentially connect us all. As a result, measurements performed on one system seem to be instantaneously influencing other systems entangled with it. But quantum entanglement does not enable the transmission of classical information faster than the speed of light. One of the most well-known experiments that touches on the influence our consciousness has on this universe we live in is the Double-Slit Experiment. This experiment makes it known that in many ways we the observers make the reality before us. In this experiment, the act of observing a particle affects the behavior of that particle. To start off, imagine a wall with two slits in it. Imagine throwing tennis balls at the wall. Some will bounce off the wall, but some will travel through the slits. If there’s another wall behind the first, the tennis balls that have traveled through the slits will hit it. If you mark all the spots where a ball has hit the second wall, what do you expect to see? That’s right. Two strips of marks roughly the same shape as the slits. Now imagine shining a light (of a single color, that is, of a single wavelength) at a wall with two slits (where the distance between the slits is roughly the same as the light’s wavelength). In the image below, we show the light wave and the wall from the top. The blue lines represent the peaks of the wave. As the wave passes through both slits, it essentially splits into two new waves, each spreading out from one of the slits. These two waves then interfere with each other. At some points, where a peak meets a trough, they will cancel each other out. And at others, where peak meets peak (that’s where the blue curves cross in the diagram), they will reinforce each other. Places where the waves reinforce each other give the brightest light. When the light meets a second wall placed behind the first, you will see a stripy pattern, called an interference pattern. The bright stripes come from the waves reinforcing each other. Now let’s go into the quantum realm. Imagine firing electrons at our wall with the two slits, but block one of those slits off for the moment. You’ll find that some of the electrons will pass through the open slit and strike the second wall just as tennis balls would: the spots they arrive at form a strip roughly the same shape as the slit. Now open the second slit. You’d expect two rectangular strips on the second wall, as with the tennis balls, but what you actually see is very different: the spots where electrons hit to build up to replicate the interference pattern from a wave. Sure, this is a crazy concept but it is one that is quite real. Quantum physics is still a very mysterious subject and will remain as such for many more years but the more we begin to understand it the wider our minds will grow. To learn more on quantum physics, in general, please check out the video below, I am sure it will blow your mind. While the idea of reality not necessarily being as real as we would like for it to be, there is much more than we could ever truly comprehend hidden within.